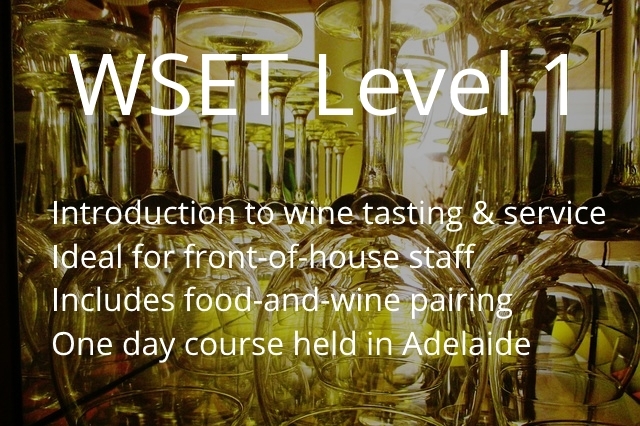 WSET Level 1 enrolling NOW for Saturday 4 May 2019. The Level 1 Course is ideal for those wanting to increase their knowledge of the world of wine, and leads to an internationally recognised qualification administered by the Wine & Spirits Education Trust. 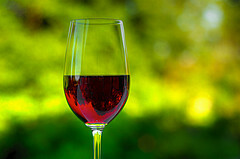 The course provides an introduction to wine tasting technique, the characteristics of common wine producing grape varieties and the main styles of wine that wine professionals and consumers will encounter. The course assumes no prior knowledge and is ideal for both interested consumers and front line retail and hospitality staff. During the day you will taste seven wines and participate in food and wine matching exercises. At the end of the day students sit the WSET Level 1 exam which is a 45 minute, 30 question multiple choice exam. The course fee includes all wines, study guide, exam fee and a light lunch. For retail or hospitality staff the course can be tailored around a restaurant or shop’s wine list. Wine Academy is happy to provide dedicated on site courses for restaurants or retail outlets. Please contact us for further details. Please also note that the WSET Level 1 exam does not contain a tasting section and that tasting the wines is not required to pass the course. This makes the course suitable for those who cannot drink alcohol, for whatever reason. If you have any questions about this course, please do not hesitate to contact us. Sign up to our mailing list for future course dates.